The Project Management Institute Project Management Book of Knowledge (PMBOK) defines product scope as the features and functions that are to be included in a product or service. It defines project scope as the work that must be done to deliver a product with the specified features and functions. Project scope management is defined as the processes required to ensure that the project includes all the work required, and only the work required, to complete the project successfully. Ambiguity in scope leads to confusion and unnecessary work. To avoid this, the scope needs to be clear and to the point. Incomplete scope leads to schedule slips and hence finally cost overrun. To avoid this, the scope needs to be complete and accurate. Transient scope leads to what is known as scope creep which is the primary cause of late deliveries and potentially “never ending” projects. To avoid this, the scope document needs to be finalized and remain unaltered for the duration of the project. Changes to the scope need to be made through a formal change process. A scope that is not collaborated leads to misinterpretations in requirements and design. To avoid this, the scope document should be shared with all stakeholders. The defence against all these problems is to clearly define the project’s scope at the beginning. Once defined then validate that scope with all the key stakeholders, getting their buy in and consensus on the scope before charging ahead. When scoping the project it very important to define the need for the project. Mistakes are made here because most of us define implementation rather than the need. If the need changes over time, you might not know what is really needed and you cannot build a product to meet a moving target. The PMBOK defines stakeholders as: “individuals and organizations who are actively involved in the project, or whose interests may be positively or negatively affected as a result of project execution or successful project completion”. The aim of inclusiveness makes the identification of stakeholders important; excluding an important stakeholder can undermine the process. No hard or fast rules exist to tell us whom to involve and how. What we do know is that stakeholder involvement is context-specific; what works in one situation may not be appropriate in another. Expect to profit from it. Organizations are driven by many outside influences, e.g., regulations, standards, laws, and other considerations. A major driver for many organizations is the set of existing equipment, software, or processes. Other drivers include security and safety concerns. Depending on your type of business you may be affected by an overabundance of regulations from external organizations. Operational concepts bridge the gap between product scope and formal requirements. The operational concepts are plain-language descriptions of user-product/system interactions in the life of your product for both nominal and off-nominal conditions. How will it be used, manufactured, tested, installed, maintained, stored, and decommissioned? Operational concepts may be use cases, operation plans, scenarios, or other methods of uncovering gaps in knowledge and scope. Many great products start with an intuitive operational concept. High-level operational concepts will help in the creation of the project scope. In the beginning, there may be several alternatives the project could select to meet the project need. In fact, the operational concept may exist before the need statement. Scenarios allow different operational ideas to be explored. Then the feasibility of each scenario is examined and more ideas are explored. A needs statement can be written after the scenarios capture the true need. The operational concept, like all other parts described above, is iterative. A single alternative must be selected and reflected in the project scope to ensure that key stakeholders share the vision before requirement capture begins. Serious problems arise at interfaces. The project is particularly vulnerable to interfaces with other products over which you have no control. User external interfaces include buttons, levers, handles, straps, warning bells, safety labels, and displayed information. Non-user external interfaces include command, data, operating system, computer system, and existing equipment used with your product. There are several external interface considerations that should be made prior to writing requirements, including the need to interface with a non-standard product, lack of interface documentation, and the risk of changes to products out of your control with which yours must interface. All of this information is vital to the project’s risk assessment and change management processes. There are different classes of interfaces you must consider: First, there are fixed interfaces that are well known and unchangeable. Second, there may be existing interfaces that can be changed, either to save money, or because that interface is being updated. The third type of external interface is one that does not currently exist. In both the second and third cases, negotiation must be completed and agreed to as part of the process. More than seventy percent of projects fail. When projects fail, it's rarely technical. 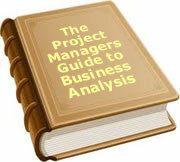 Over eighty percent of those projects fail due to Project Management. Projects, like business, often fail because they are not properly managed. Scope Creep is a major aspect of project failure. This can be mitigated by following simple procedures such as having a scope document that all the stakeholders agree on and on having a change management plan if there are supposed to be modifications to it. Manage scope and make your project a part of the successful thirty percent. Project scope management is defined as the processes required to ensure that the project includes all the work required, and only the work required, to complete the project successfully. If the scope is not managed correctly it may lead to an unsuccessful project. This article deals with problems with scope and tools and techniques useful in capturing the project scope. Avneet Mathur is a Certified Project Management Professional, as awarded by the Project Management Institute, USA. Avneet holds an MBA in General Business Administration, with an emphasis in Entrepreneurship and Finance, with an additional Master's Degree in Computer Science and Networking from University of Missouri, Kansas City. He also has a Bachelor's Degree in Computer Science from the Aurangabad University, India. Avneet Mathur can be reached at Avneet_mathur@hotmail.com for further questions. To date, 32 people have rated this article. The average rating is 4.44 - Add your rating. Just select a rating and click the button. No other information required.